What is a good moveset for Pheromosa? If you have a good moveset for Pheromosa, post an answer below and upvote the best ones. Remember, this is for competitive movesets, not in-game. Ability, EVs etc should be included, and we encourage sets for VGC doubles as well as singles. Make sure to read all the guidelines here. Pheromosa Pokedex & learnset for reference. This is a Physical Set. She can outspeed almost everything even without items, Natures, EVs. The EV spread is suitable for a fast physical sweeper like Pheromosa. Lunge for STAB. High Jump Kick is also STAB, so does Brick Break which is more reliable. Poison Jab covers Fairy types. U-Turn allows Pheromosa to escape from bad situations. Beast Boost is always great for sweeping. Giga Impact is honestly a terrible move. Even if it wasn't, U-Turn is essential and can't be replaced. This set was too OP for Showdown. Why Ice Beam with an Adamant nature? I think I'd perfer Hasty Nature or an Naive nature with a Focus Sash but anyway, good Moveset. Ice Beam hits Landorus-T and Gliscor. Well, given that the only answer for this question right now is a physical sweeper set, I thought I should recommend a special sweeper set because why not. Pheromosa definitely has the stats for that. Taunt I was considering Roost for a bit, but Pheromosa isn't going to be surviving any hits. This thing is more about hitting things like a truck before they hit you. Taunt is ideal to prevent being set up on. This may prompt your opponent to switch out, granting you some free hits. If you are running Focus Sash, put Quiver Dance instead of Taunt. Pheromosa has high speed, so she can use Quiver Dance on the first turn. If hit by a Super effective move, she will hang on to Focus Sash, then she will start sweeping with the boost of Quiver Dance. Taunt is not really necessary on her. Taunt and Quiver Dance are both not really that viable. Also, U-Turn is an absolute must. I run this Pheromosa set to varying degrees of success, and it works well as both a fast mixed wallbreaker and an offensive pivot. The 72 Speed EVs ensure that this set's Speed gets the buff from Beast Boost so it can outspend most threats in the tier, while the max Special Attack allows for significant damage. I chose Hasty Nature to even further boost Speed and sacrifice defenses, because this really doesn't need any defensive investment. Bug Buzz and U-Turn serve as dual Bug STAB and allow for dual options when dealing with threats, giving the choice to stay in or switch without loss of momentum. High Jump Kick is the obvious choice for Fighting STAB, and Ice beam is coverage for non-bulky Flyings. Do not Choice Scarf Pheromos. This Pokemon is so fast it outspread Mega Alakazam by one point. Crazy right? The other moves provide STAB and Coverage, and Sleep Talk just in case anyone tries to stop you from sweeping their entire team. High Jump Kick/Jump Kick: More accuracy or more power? No setup moves because this thing ain’t surviving hits. Lunge- good STAB, coverage against Psychic types. Poison Jab- coverage against Fairy types, 30% chance to poison. Speed Swap/U-Turn/Brick Break- U-Turn for STAB or escaping. Speed Swap should only be used in Doubles (explained below). Brick break for STAB, and breaking through Reflect/Light Screen/Aurora Veil. 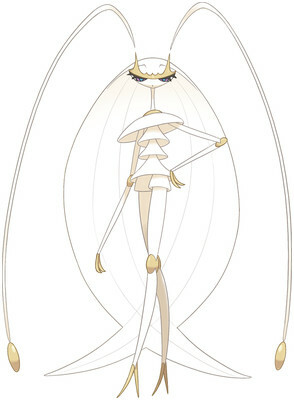 Pheromosa can hit fast and hard but she will snap like a twig. Don’t bother to put on very many HP, Def, or SpDef EV’s, or any status moves on her. The focus sash is there to let it live for another turn. For doubles, Speed Swap is an option: after the focus sash has been used and she has 1 HP left, if you want to help your teammate, use Speed Swap so they can have her speed. If you don’t want to run Speed Swap I suggest using U-Turn or Brick Break. IMO, you shouldn't hinder your speed to boost defense. Speed is all Pheromosa has, and that defense point won't help it survive a SE hit, but losing the speed points could take away your lead... If you really want a nature that boosts def, then hinder one of the attacks, and base your move set around the other. What is a good moveset for Guzzlord? What is a good moveset for Kartana? What is a good moveset for Buzzwole? What is a good moveset for Xurkitree? What is a good moveset for Nihilego? What is a good moveset for Celesteela?